Georgia's Home Inspirations: Chalk It Up to Repurposing! Chalk It Up to Repurposing! Here at Georgia's we are all about repurposing, a passion that runs deep for all of us. Not only is repurposing green and good for the environment, it can be a real cost saver, too, especially when planning a wedding. As many of you know, last year I married my best friend and teammate for life. 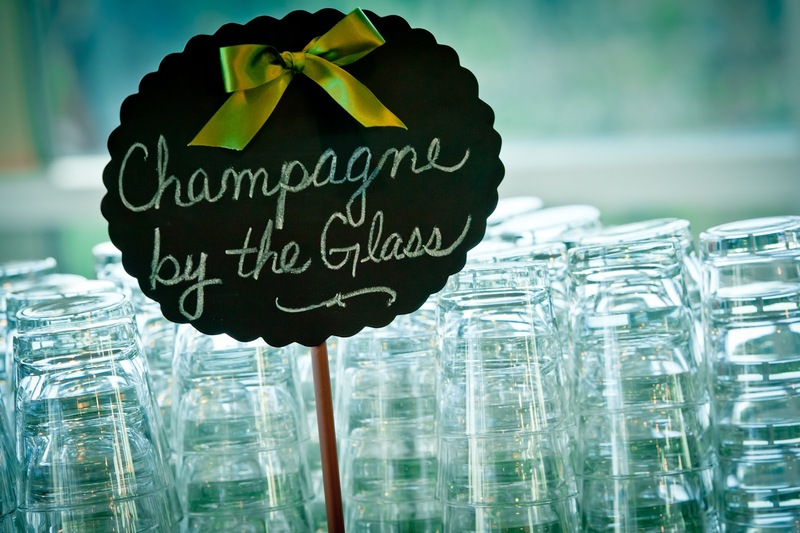 Repurposing was a key theme in our wedding. I wanted to avoid waste at all costs, not only to save some green, but to be green. One way we cut down on paper use was by using chalkboards. 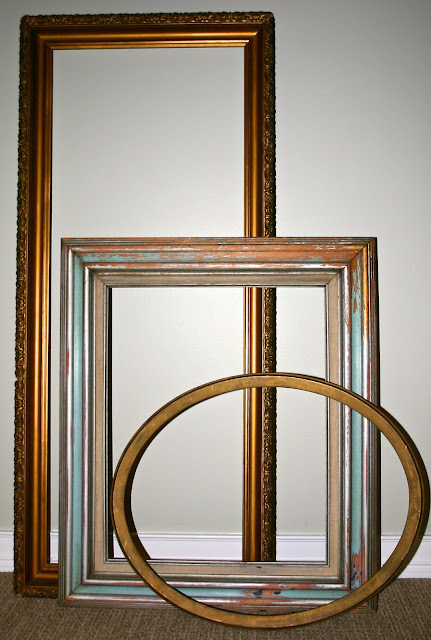 The project began with a visit to one of our favorite salvage warehouses here in Chicago where we found a great vintage gold frame. We brought it back to Georgia's workshop and cut down a Grade A smooth piece of plywood (with no knots) to fit in the frame's opening. Next, we applied fasteners to the back, similar to what you would see on a traditional picture frame. Finally we applied multiple layers of black chalkboard paint to both sides of the plywood. Chalkboard complete. What did we use it for? 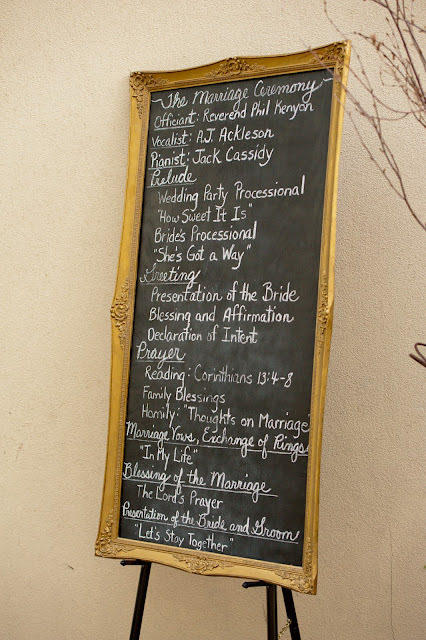 The front side of the chalkboard was our ceremony program which we displayed as people walked to their seats. During cocktail hour, the frame was quickly moved and flipped over as the back side featured our menu for the evening. I bet you are wondering where it is now. You guessed it, in the process of being repurposed yet again. But I have to be honest, it is a project I haven't completed yet. This frame will either continue to function as a chalkboard, hold a corkboard for my office or become a mirror for my living room. I haven't quite decided yet. 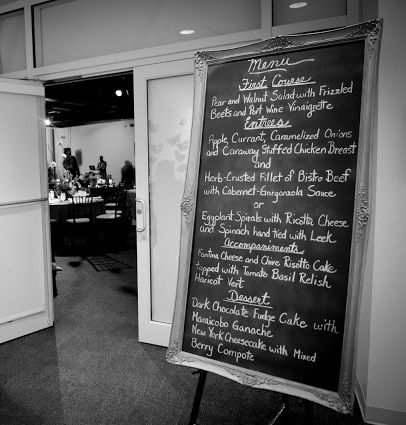 Do you want a great repurposed chalkboard of your own? Georgia's is stocking up on frames and has amassed quite a collection. 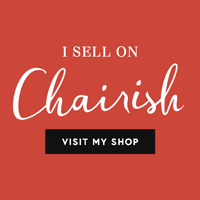 Check them out and stay tuned for the grand opening of our online store where we will feature framed chalkboards in addition to winter and holiday decor items. Now go get some chalk! Lisa and Nikki's Holiday Friday Finds! Homemade Turkey Stock and Turkey Soup!